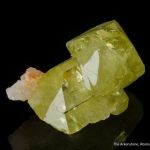 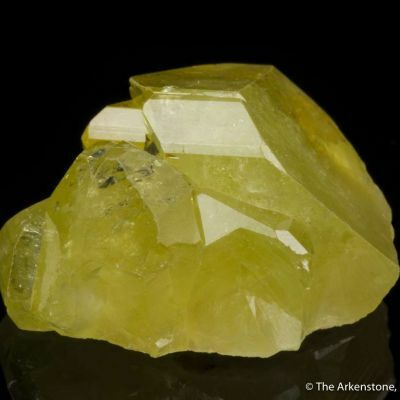 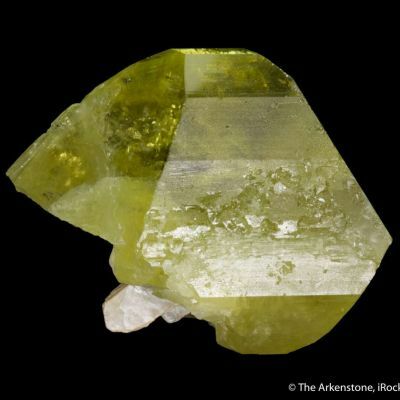 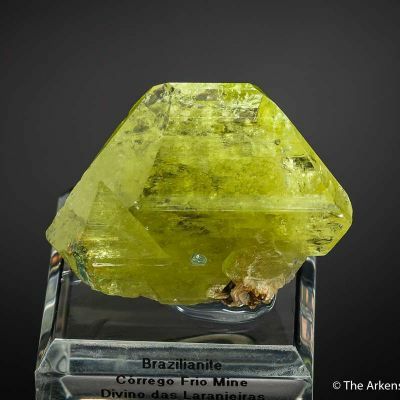 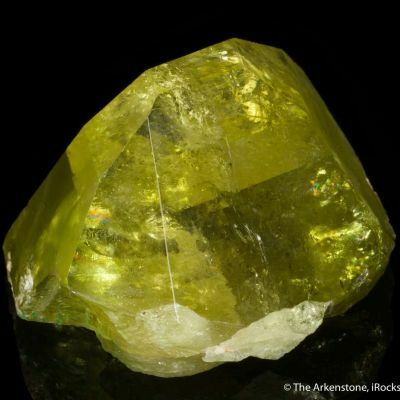 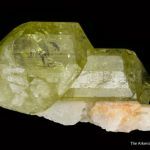 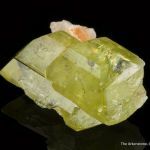 Brazilianite of this quality and specific color and luster ONLY came out of a few small finds in the old days of Brazilian gem mining: Peter Bancroft documented mining them in the 194 I , and in fact sent the first batch to the USA in that time. 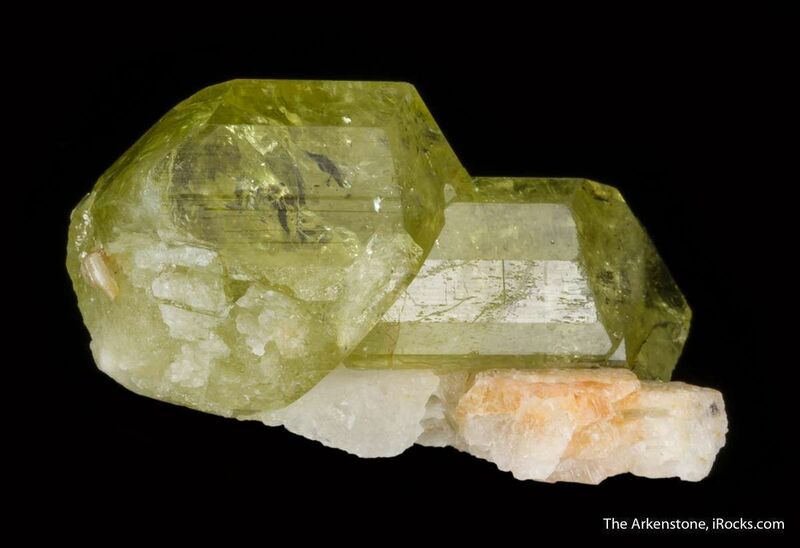 This gorgeous small but adorable specimen, is from that best-of-species find. 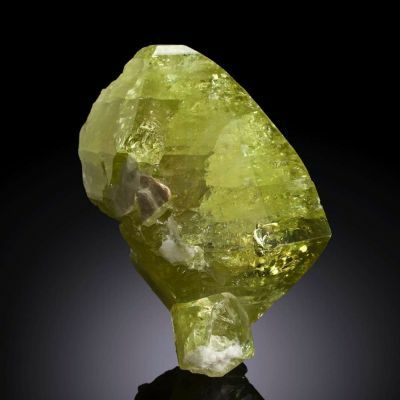 Such specimens are few and far between today, and are immediately recognizable. 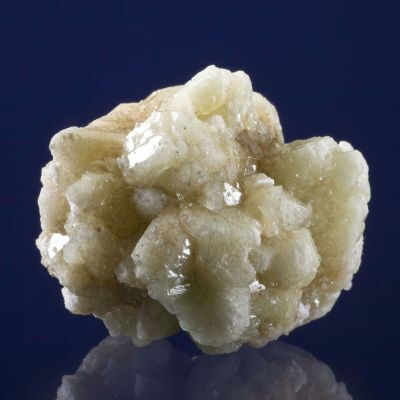 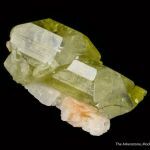 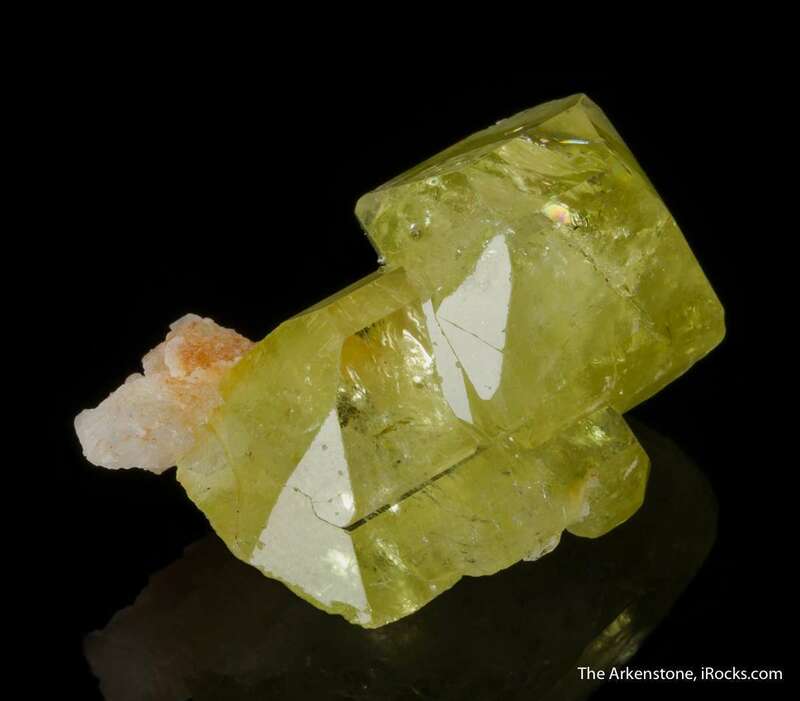 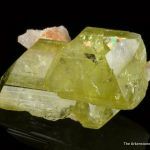 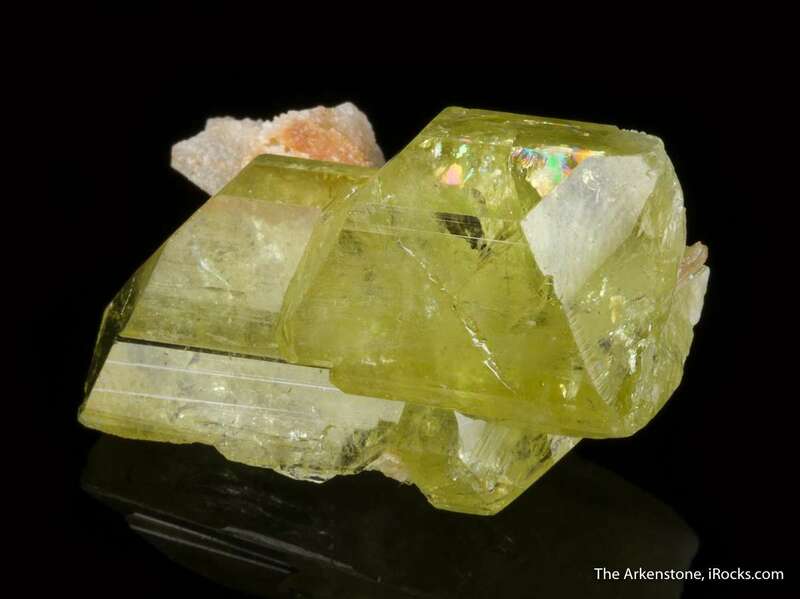 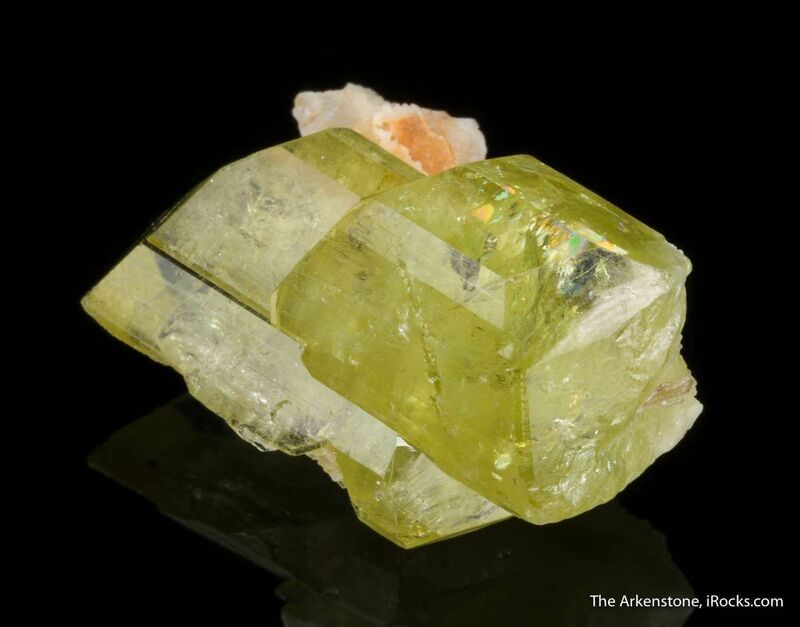 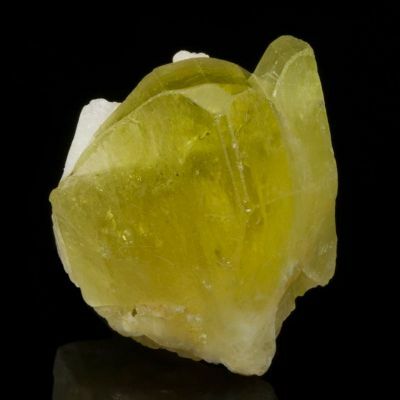 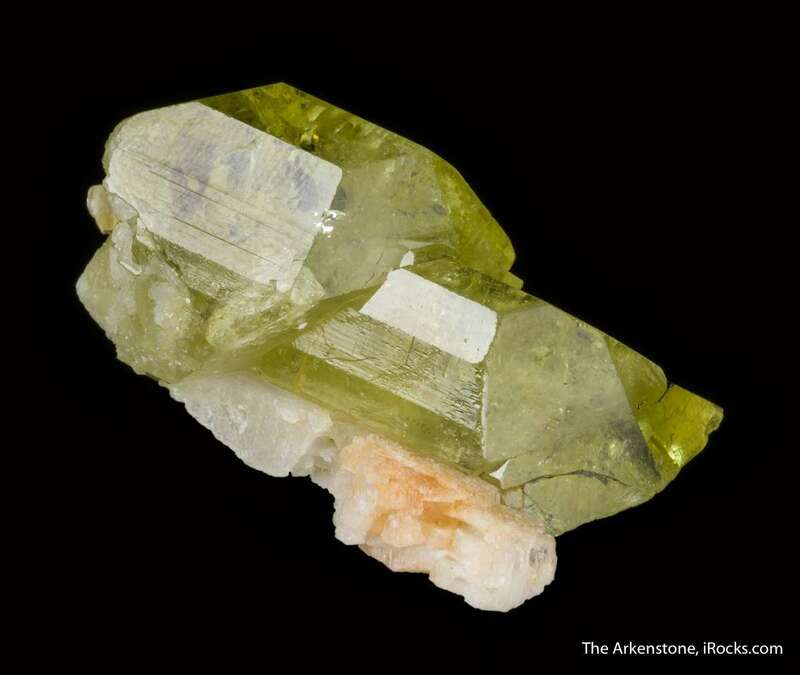 Two, stacked, glassy and gemmy, light apple green crystals of brazilianite, to 1.8 cm in length, are associated with a bit of albite matrix. 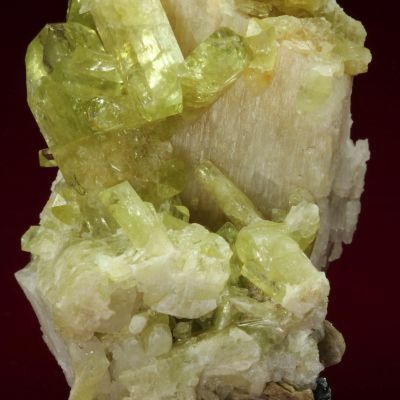 The crystal at the bottom is doubly terminated. 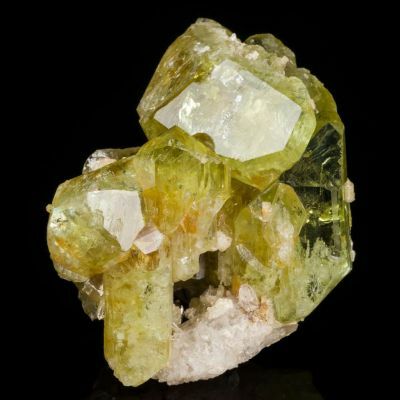 The cluster gives a superb display angle, though the right side is contacted (forgiveable, in this old specimen, in my opinion).